Found 3 file extension associations related to KeepSafe for iOS and 3 file formats developed specifically for use with KeepSafe for iOS. Hide pictures and video from your iPhones and iPads photo app into KeepSafe. After imported to KeepSafe your pictures will remain locked behind an easy-to-use PIN pad. This allows only you to see you private pictures. 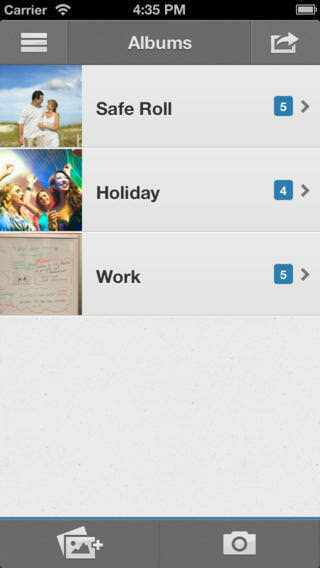 Your public photo gallery remains available for your family, friends and anyone who wants to have a look at your phone. If you need more information please contact the developers of KeepSafe for iOS (KeepSafe), or check out their product website.